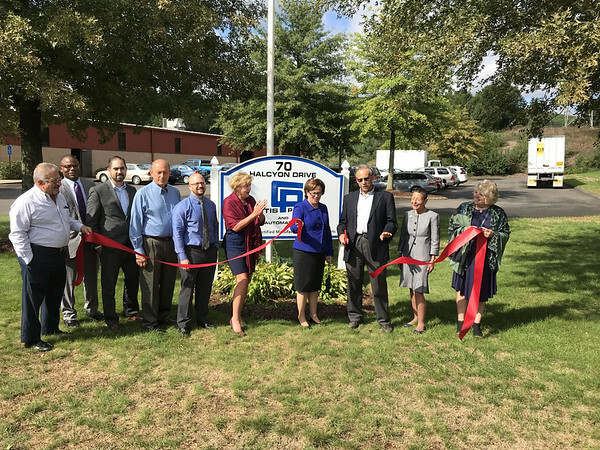 BRISTOL - City, Chamber of Commerce and state officials held a ribbon cutting ceremony at Curtis Products Wednesday to celebrate the successful relocation from Waterbury and expansion of the company in Bristol. Rob Weintraub, president of Curtis Products, said the new location, which he closed on June 12, is an upgrade from an 11,000- square-foot space to a 16,500-square-foot space. It also allowed Curtis to incorporate Quality Automatics, of Oakville, which they recently acquired, under the same roof. Curtis Products got its start in 1950, and Weintraub has been the owner since 2006. He said he had been working with the City of Bristol for the past few years to find a good place to expand. This, he added, was also the largest expansion for the company during his time heading it. Weintraub aimed to hire 35 people after his move and said he has “met and exceeded” that goal. The company invested $500,000 in the new location and benefited from a $69,000 economic development grant. Weintraub has suggested that he may expand into another 10,000 square feet of available space at the new location in the future. Weintraub thanked the city, state and chamber officials who helped make the expansion possible. Weintraub said the decision to remain in Connecticut and to make these investments was not easy, but was “greatly influenced” by the representatives of the agencies he dealt with and the “positive signs” he saw. Lindy Lee Gold, economic development specialist with the state Department of Economic and Community Development, attended the ribbon cutting ceremony. Weintraub thanked her for connecting him with programs to help him find trained employees. Mayor Ellen Zoppo-Sassu said it is always a highlight of her day to go out and welcome new businesses or those that are renovating, expanding and contributing to the local economy. “The fact that they are looking to hire more people makes it even better,” he said. Cindy Bombard, president and CEO of the Central CT Chambers of Commerce, said it is “wonderful” to have a new manufacturer in Bristol. “They will bring good, quality jobs and they will be a great partner for the city,” she said. Justin Malley, executive director of the Bristol Development Authority, said Curtis Products’ move coming to fruition is an example of why it is important to maintain a strong relationship with companies planning on moving in. Posted in The Bristol Press, Bristol, General Business, Manufacturing on Wednesday, 3 October 2018 21:16. Updated: Wednesday, 3 October 2018 21:18.